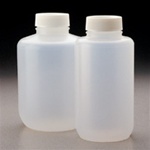 Lab Equipment: ChemWorld.com is a supplier of water treatment complete test kits, chemicals, and reagents. Our test kits typically ship within 24 hours. Bags, Balances, Beakers, Bottles, Burets and Autoburets, Casserole Dishes, Clarity Wedge, Current Detector, Cylinders, Demineralizer Bottle, Filer Paper and Funnels, Pressure Filter, Droppers, Electrodes, Flasks, Safety Glasses, Gloves, Hydrometer and Salimeter, Incubator, Jar Mixer, Lamp UV, Magnetic Stirrer and Hotplate, Parafilm, Pipets, Pipets Fillers, Refractrometer, Sample Ladle, Spatula Scoop, Stirring Rod, Syringes, Test Cabinets, Test Cases, Test Strips, Thermometers, Tongs and Tools, and Tube Phosphate Vials are in stock and ready to ship.